In hindsight, I’m kicking myself after my visits to Butter Tapas. 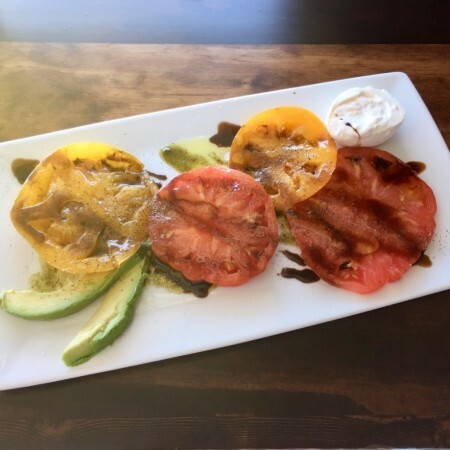 Sure, both times the food was on point — thoughtful, flavorful, and beautifully plated — and both times the service was skillfully handled by a gracious waitress. But how am I supposed to feel after discovering that a superhero is alive and well, and running a restaurant in North Charleston and I didn’t even realize it? Wait. It gets better. I even ate there twice and nobody told me. It’s embarrassing, but I’m hoping my ignorance can help others. You see, while looking at the menu on the website for this review, I discovered the shocking truth: that my waitress was no mere mortal. Rather, the veritable “Diana Prince” in the clean white T-shirt cheerfully serving my meal is actually Chef April Robinson, or Wonder Woman, as you may also know her. You read that right. The chef is also running front-of-house. Solo. Don’t try to fathom how this is possible. It isn’t. Unless you are in fact Wonder Woman. I rest my case. Regardless of how Robinson gained her superpowers, she’s using them for good. The Tomato Tomahto ($12) salad arrives with four thick slices of ripe red and yellow tomatoes and a generous dollop of house-made burrata. Fresh and light, it’s simple, yet exactly what you were hoping it would be — a welcome surprise where caprese salads are concerned. 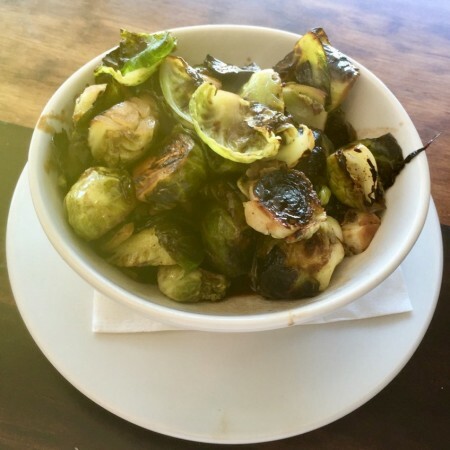 Butter Tapas’ Brussels sprouts ($6) are also worth your time. Well-seared but still possessed of a little crunch, they’re coated in a sweet balsamic glaze. It’s the typical presentation these days, but why fix what isn’t broken? More whimsical, but less to my liking was the grilled watermelon ($10). Grilling the watermelon causes much of the water, and sweetness, to evaporate, leaving behind an almost meat-like texture and a flavor that’s akin to cooked winter squash. Accompanied by salty homemade ricotta cheese, drops of mint-infused honey, and bitter arugula, expect plenty of squish and a lasagna-like flavor profile. Personally, I wasn’t into it. By now you’ve probably caught on that these aren’t tapas in the sense of, well, Spanish tapas. And why the word Butter? Well, one trip to the location will clear that up. 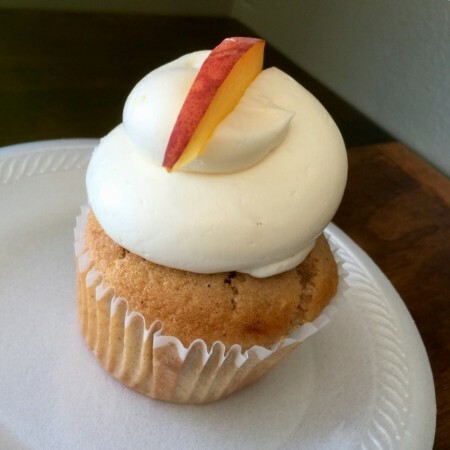 Formerly a cupcake shop — a handful of the sweet treats continue to be offered in the large glass display case — Butter Tapas still feels very much like a grab-and-go bakery. Attractively decorated, the space itself is very small, and the seating scant. Although overlooking a lively parking lot, one imagines (or at least hopes for) relocation in its future. But don’t let the vibe rattle you. Although Robinson got her start in the cupcake biz, she clearly has had more than pastry training. Case in point, Robinson’s duck wings ($12), another creative and well-executed offering. The four large, Asian-flavored wings are deep-fried and coated in a generous blanket of “Thai barbecue sauce,” which tasted a lot like Chinese five spice. Regardless, they’re crisp, flavorful, and certain to sticky-up any bracelets you happen to be wearing, but it’s worth the mess. The jerk lamb pops ($15) find three tiny tomahawk chops imbued with an allspice-heavy, fiery rub. Cooked to well-done and extremely small in portion, they’re good but not great. 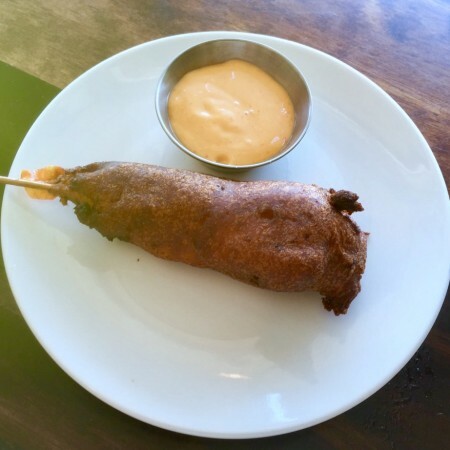 Similar issues impact the lobster corn dog ($9), a novelty of an idea that falls short in both appearance and magnitude. A hunk of fresh lobster meat about the size of a piece of sidewalk chalk is coated in a cornmeal batter and deep-fried. With looks only a mother could love, this hand-formed effort needs more fine-tuning. Tasty, but hard to eat and too diminutive to share, there’s a reason people don’t make corn dogs from scratch. On the other hand, one day a lump crab cake ($12) will come into your life and you will understand why it never worked out with anyone else. Don’t even try to share, as the sweet, meaty cake provides the kind of rare perfection that demands possessive greed. And possibly some warning looks. Served with five garlicky asparagus spears and a grilled lemon, it’s the crab cake of your dreams. Your average strip mall-cupcake-shop-transitioning-into-a-full-service-restaurant scenario is likely to encounter some issues. Remarkably, Butter Tapas skirts most of them, and there’s no reason to believe what remains can’t be addressed in time. And in case you haven’t heard, superheroes like to think we don’t recognize them in their street clothes. So please don’t go charging into Butter Tapas demanding to try on Robinson’s magical tiara. Rather, take this as an opportunity to observe Robinson, clearly the daughter of Zeus, in her semi-natural habitat. And for the love of Hera, order the crab cakes.